HBCU Council of Shiloh Baptist Church takes special care to understand the unique needs of parents as they move through the college process. 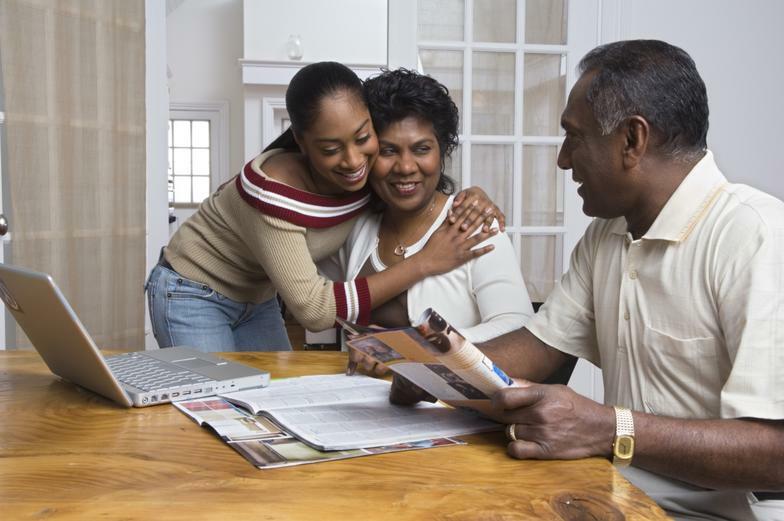 The resources offered by the HBCU alumni, members of the Council and the financial aid and admissions experts uplifts, informs and inspires community parents. Parents find the HBCU Council to be a vast resource of free college information. How Do I Help My Child Get into College? A broad and solid education is the first step. This means your child should take challenging courses in academic subjects and maintain good grades in high school. Your child's transcript will be an important part of his or her college application. A college education builds on the knowledge and skills acquired in earlier years. It is best for your child to start planning a high school course schedule early, in the seventh or eighth grade. Research shows that students who complete algebra and geometry by the end of ninth grade are more likely to go to college than those who do not. By taking these courses early, students are then prepared to take geometry, trigonometry, calculus, and science courses in high school. Most selective colleges (those with the highest admissions requirements) prefer to admit students who have taken courses in certain subject areas. For example, many colleges prefer that high school students have taken challenging science courses and mathematics courses beyond general math and algebra. Basic computer skills are now essential, and some colleges prefer three or four years of a foreign language. Your child's guidance counselor can help your child determine the high school courses required or preferred by different types of colleges. If your child is interested in specific colleges, he or she can contact those schools and ask about their admissions requirements. Talk to one of your child's teachers, your child's guidance counselor, or the principal of your child's school to find out if the school offers AP courses. If they don't, ask whether they might consider offering AP courses in the future. Although academic requirements differ among colleges, the admissions requirements listed below are typical for four-year colleges. The specific classes listed here are examples of the types of courses students can take. Mathematical and scientific concepts and skills learned in math classes are used in many disciplines outside of these courses. Recent studies have shown that students who take higher level math courses are much more likely to go on to, and complete, college than students who do not. Traditional English courses such as American and English literature will help students improve their writing skills, reading comprehension, and vocabulary. History and geography will help your child better understand our society as well as societies around the world. Research also indicates that students who take courses in the arts disciplines and who participate in the arts (performing arts and visual arts) often do better in school and on standardized tests. The arts help students to learn; they often give students a richer understanding of history, science, literature, and math. Thirty states require students to take some art course(s) (visual or performing) before graduating from high school; six state university systems require students to take at least one unit of art (visual or performing) at the high school level before gaining admission to the university. Many college admissions staff view participation in the arts as a valuable experience that broadens students' understanding and appreciation of the world around them. If your child is interested in pursuing a technical program in a community, junior, or technical college, he or she may want to supplement or substitute some of the electives listed in the chart with some vocational or technical courses in his or her field of interest. However, many technical fields, such as engineering and computer science, demand high levels of science and math. Regardless of the career your child is interested in pursuing, he or she should take the suggested courses in at least the core areas of math, science, English, history and geography. Look especially for more advanced technology courses in the junior and senior years of high school. Talking to an administrator or professor from a community, junior, or technical college is a good way to find out about the best high school courses to take in order to prepare for a specific technical program offered at that college. The dean of a particular technical program will also be able to tell you about the entry requirements for the program. You may want to ask educators at a local college (or staff at your child's school) about educational programs that have formal connections between the high school and the local college. There are many career-focused programs that are offered by a network of high schools, local colleges, and, sometimes, local employers. Many of these programs are known as "tech-prep," "two-plus-two,"or "school-to-work" programs. The high school course work in these programs is formally linked to the course work offered at the local colleges. In this way, the high school material better prepares students for the college-level work. It also starts the student on a clear path toward a college degree. Tech-prep and two-plus-two programs often refer to educational programs offered by networks of school districts and colleges. Such programs offer students career "pathways" that link their high school classes to advanced technical education in colleges or apprenticeship programs. These programs are often called two-plus-two programs because they span the last two years of high school and the first two years of college. Thus, they are four-year programs. These programs emphasize applied learning -- the teaching of academic material through hands-on experience. In addition, students in tech-prep and two-plus-two programs receive extensive academic and career guidance from counselors and teachers. "School-to-Work" is the term that often refer to career-focused programs that have many of the same elements as tech-prep and two-plus-two programs. In addition, "school-to-career" programs also provide students with the opportunity to learn in a real work setting. Students have the opportunity to spend time at a local worksite where they can apply their skills and acquire new ones. You can learn more about career-focused education programs by talking to educators in your community. It is vital that your child not only enrolls in the courses recommended for college-bound students, but also that the material taught in those courses reflect high academic standards and high expectations for what students should know and be able to do. Research indicates that high expectations and high standards improve achievement and positively influence student learning. "What is it that my child should know by the end of each grade?" Many school districts are taking the initiative in setting higher standards. In many communities, parents, teachers, administrators, business leaders, clergy, college representatives, curriculum experts, and interested citizens are working together to develop or revise standards. In creating their own standards, many states and communities are drawing on model standards developed by national professional associations. Many of the courses recommended for college-bound students (such as geometry and rigorous English courses) are also essential preparation for the college entrance examinations -- the SAT (Scholastic Assessment Test) [Footnote: The general SAT test is also referred to as the SAT I to distinguish it from the SAT subject test, which is also called the SAT II.] or the ACT Assessment. The SAT measures verbal and mathematical reasoning abilities. The ACT Assessment measures English, mathematics, reading, and science reasoning abilities. Students applying to colleges in the East and West usually take the SAT exam. Students applying to schools in the South and Midwest often take the ACT; however, students should check the admission requirements at each school to which they are applying. Usually, the tests are offered in the junior and senior years of high school and can be taken more than once if a student wishes to try to improve his or her score. Students can get books at libraries or bookstores to help them to prepare for all of the tests. Some of these books are listed at the back of this resource book. In addition, some private organizations and companies offer courses that help students prepare for these exams. Many schools offer the Preliminary Scholastic Assessment Test/National Merit Scholarship Qualifying Test (PSAT/NMSQT) to their students. This practice test helps students prepare for the Scholastic Assessment Test (SAT). The PSAT is usually administered to tenth or eleventh grade students. A student who does well on this test and who meets many other academic performance criteria may qualify for the National Merit Scholarship Program. You and your child can find out more about the PSAT/NMSQT and the National Merit Scholarship Program by talking to your child's guidance counselor. Some colleges also require that an applicant take one or more SAT subject tests in major areas of study. These tests are also known as SAT II tests. SAT II subject tests are offered in many areas of study including English, mathematics, many sciences, history, and foreign languages. A subject test measures the extent of a student's knowledge of a particular subject. It is a good idea for a student to consult a guidance counselor about this early in high school; often the best time to take an SAT subject test is right after the student has taken a course in that subject. For example, many students take the SAT biology test right after they have completed a course in biology. This could mean that your child would take his or her first SAT subject test as a freshman or sophomore in high school. Come to the HBCU Council FREE Parent Workshop where you can get additional information, you will find the addresses and phone numbers or organizations and detailed information to help you get your child on the right track to college. Knowing what will be required for college is important; by taking the right courses and examinations from the beginning of high school, your child may avoid admission problems later on. In addition, students who do not prepare well enough academically in high school, if admitted to college, may be required to take remedial courses. Most colleges do not offer credit for these courses, and students may have to pay for these extra courses and spend extra time in college to earn their degrees. Studies have also shown that students who take more rigorous courses in high school are more likely to complete college. Chart 3 lists some questions that you or your child may want to ask your child's guidance counselor. This exercise will give you and your child a chance to look ahead and choose future courses. Be aware that some courses must be taken in sequence. On the form below, list your child's current courses or courses he or she will take this year. Then list courses that he or she will take during each year of high school. If you are not sure what courses your child should take, you should make an appointment with your child's guidance counselor and get some advice. A student's interpersonal and leadership skills as well as outside interests and goals are all important for college preparation. Independent reading and study, extracurricular activities, and work experience will all help your child develop his or her skills, interests, and goals. Independent reading and study will help your child to prepare academically for college. This is a good way to develop interests, expand knowledge, and improve the vocabulary and reading comprehension skills needed for college and the SAT or ACT. 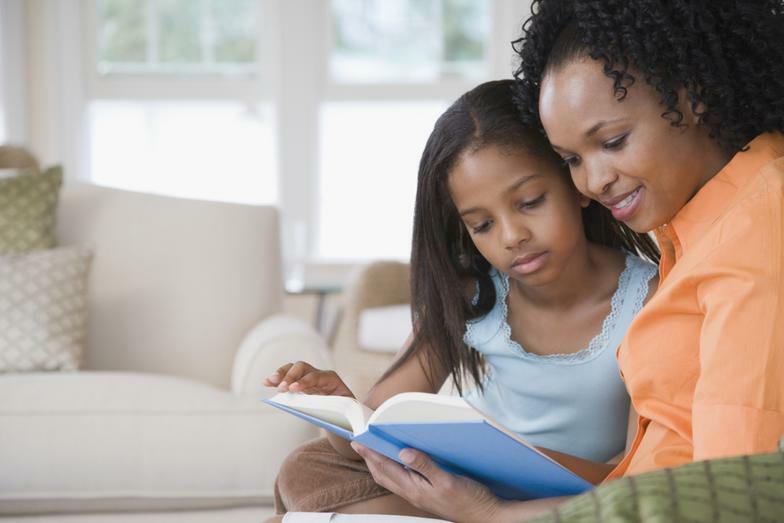 Encourage your child to read all kinds of books for fun -- fiction and non-fiction. The school library and the local public library are good sources of books, magazines, and newspapers. 1.Help him or her find a quiet place with some privacy. 2.Set up a desk or large table with good light and place reference books such as a dictionary on the desk or nearby. 3.Make sure your child studies there on a regular basis. Many school, community, and religious organizations enable high school students to explore their interests and talents by providing activities outside the classroom. Colleges are often interested in a student's extracurricular activities such as school clubs, the student newspaper, athletics, musical activities, and arts and drama, especially if a student has excelled in one or more of these areas. Work experience -- paid or volunteer -- can teach students discipline, responsibility, reliability, teamwork, and other skills. A summer job may be a good way to gain experience and earn money for college as well. If your child works during the school year, he or she should not work so many hours that the job interferes with school work. Some students also participate in community service activities such as tutoring elementary school children or volunteering in a local hospital. Such activities make valuable contributions to society and also help students to identify their career interests and goals, gain workplace skills, and apply classroom learning to real-world problem solving. Many colleges view community service as a valuable experience that enhances a student's college application. Some schools offer academic credit for volunteer work through service-learning. This is a teaching method that integrates hands-on learning (through service to the community) into the school curriculum. To find out if your child's school offers service-learning, talk to your child's teacher, guidance counselor, or school principal. 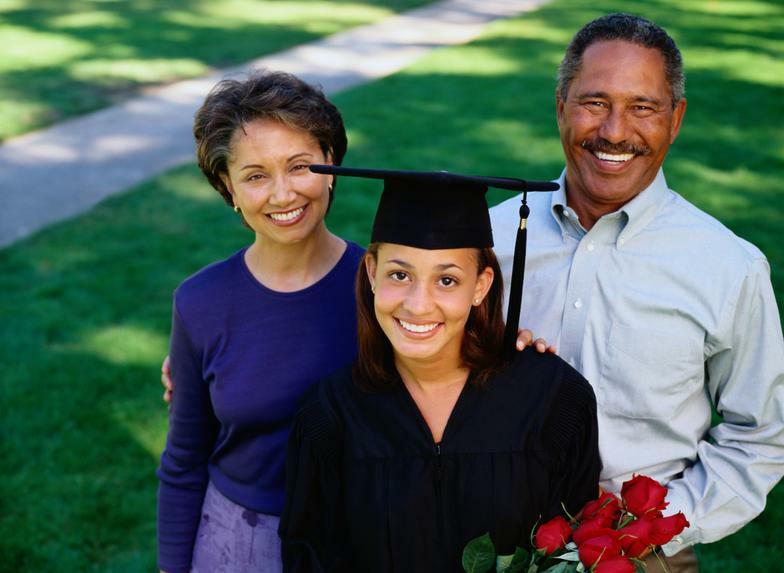 "As a parent, ask your employer if they offer college scholarships for the children of employees. Many do, especially if it is a large organization. If not, ask if your employer would consider starting one. It may be something they hadn't considered before.Also, check School networks: Think about the high school your child is leaving and find out if they offer any scholarship opportunities for their graduating students" -- Keva Sturdevant, College Finance Expert, WUSA-9 News Correspondent on Personal Finance. There has been a major change to the deadline for submitting the Free Application for Federal Student Aid or FAFSA. The new start-off date is now October 1, 2016 for the 2017-2018 school year for anyone seeking financial assistance from the federal government.